Instagram Stories are great for quickly sharing what’s going on in your life – but sometimes you don’t want all your followers to see them. 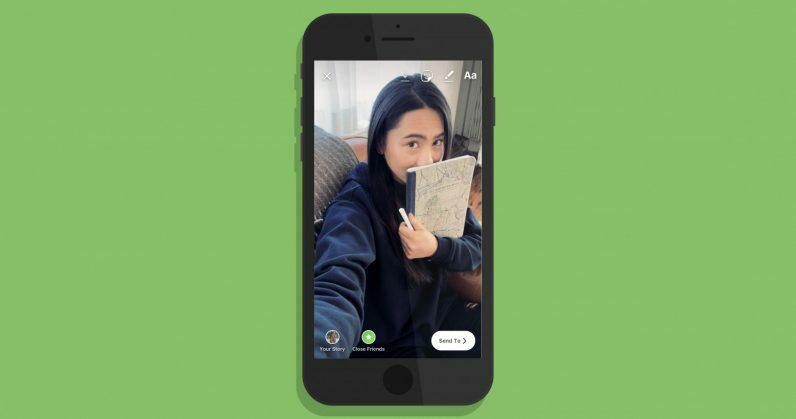 The app’s new Close Friends feature makes it easier to restrict your Stories to a select group of people, so you don’t have to worry about your boss, your parents, or random strangers having a look. To access this feature, go to your profile and tap on ‘Close Friends’ in the side menu to begin creating a list of people you’d like to share Stories with. Your list of close friends can be viewed only by you, so others won’t know that they’re being kept out of the loop. Once you’ve set up a list you’ll see an option to share your Story with just your Close Friends. Also, you’ll see a green badge when you’re viewing other people’s Stories that are restricted to Close Friends. While the platform lets you block specific people from viewing your Story, that route is far more tedious for restricting access to your Stories. The new feature will be rolled out globally today for both iOS and Android. You’ll want to update your app to the latest version to use it.